Often when you are travelling it is troublesome to bring makeup remover and cotton pads to clean makeup and impurities. 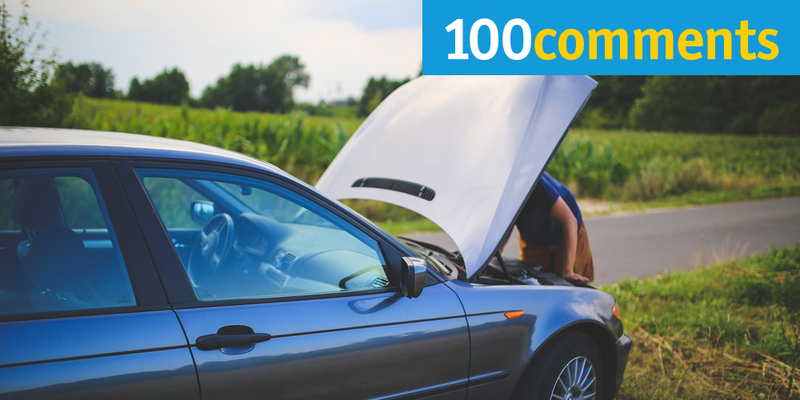 Plus, you must bring in a small amount if you are travelling and it can take up your space in the luggage. Hence, it is best to replace the traditional makeup remover liquid and cotton pads with makeup wipes. It is easy to use and yet work fine just like you use makeup remover in liquid form. Cleansing wipes are not only to clean makeup but you can use them to clean your face from dirt or impurities contained in the air. Your face is exposed to dirt every day so it is recommended to keep your face hygiene by using cleansing wipes so the the pores are not clogged. Here is a list of 9 amazing cleansing wipes that are gentle on your skin. 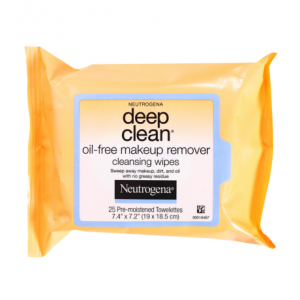 Neutrogena Deep Clean Oil-Free Makeup Remover Wipes feature ultra-soft, pre-moistened wipes that effectively and gently sweep away waterproof makeup, dirt and oil for clear, fresh skin. You can simply swipe off eye makeup, lipstick or even waterproof mascara with this wipes. Featuring Oil-dissolvers that go deep down to remove pore-clogging impurities and leave skin thoroughly cleansed with no heavy residue, so there is no need to rinse off! Great wipes to bring over while you are travelling to keep your skin clean and away from any impurities. Read reviews about Neutrogena Deep Clean Oil-Free Makeup Remover Cleansing Wipes. 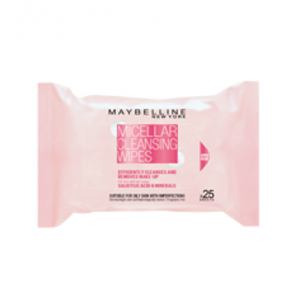 Maybelline Micellar Cleansing Wipes expressly remove makeup and quickly break up stubborn makeup in one swipe. 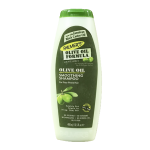 Clean and refresh without harsh rubbing or greasy residue. The oil-free formula complete with moringa seed extract, nature’s purifier, for a clear skin and away from impurities. Conditioning agents packed in this product leaves skin feeling moisturized and smooth. It is oil-free, dermatologist tested, allergy tested and suitable for sensitive skin. 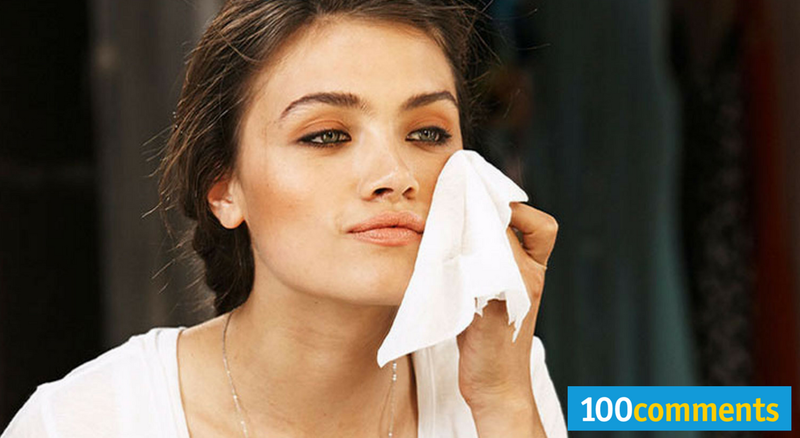 Click to know more about Maybelline Micellar Cleansing Wipes. Uriage Thermal Micellar Water Makeup Remover Wipes are perfectly suited for removing makeup from all skin types, thanks to the unique properties of Uriage Thermal Water. The micelles gentle and non-ionic constituent surfactants act like magnets to effectively capture makeup and impurities. This wipes clean off even waterproof makeup effectively without any residue. Gentle on the eyes and lips that care your delicate skin. 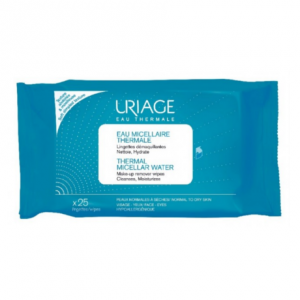 Read reviews about Uriage Thermal Micellar Water Makeup Remover Wipes here. 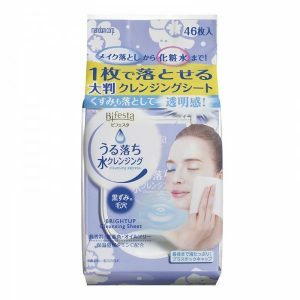 The Bifesta Cleansing Sheet Brightup is 100% oil-free and contains skin lotion ingredients. The generously moistened cleansing sheet containing moisturizing cleansing ingredients derived from beauty lotion thoroughly removes makeup and dead skin cells while keeping the skin moisturized. With a specially designed soft material gentle on the skin, the low-friction formula offers a pleasant sensation during use. It contains skin lotion ingredients that take care of makeup removal and skin care with lotion. There is no need for rinsing, you can go straight to bed afterwards. 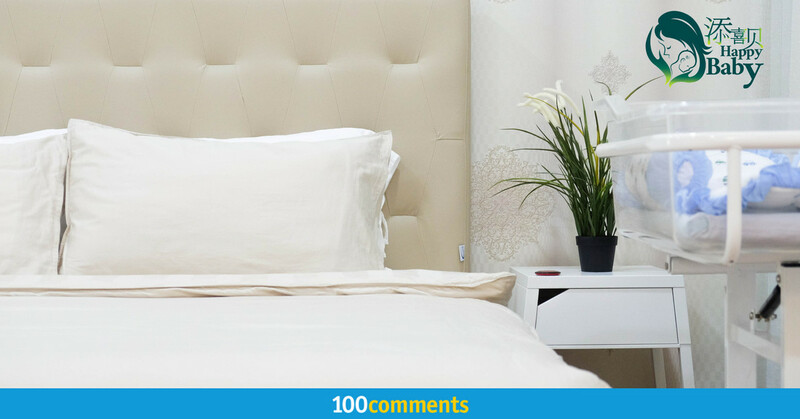 Click to know more about Bifesta Cleansing Sheet Brightup. CELKIN VITAMIN Make-up Remover Cleansing Wipes are gently and effectively remove eye-liner, shadow, lipstick, blush and even waterproof mascara without skin irritation. 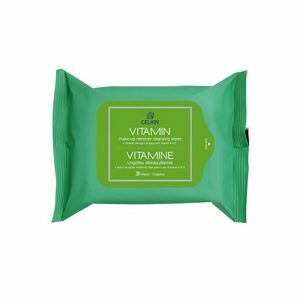 The wipes are made of ultra-soft wipes formulated with a complex blend of Vitamin A, Vitamin E, Green Tea and Aloe Vera to gently cleanse. tone and resurface skin texture. Use this wipes daily for a fresh skin. The advance pre-moistened formula works in seconds to leave you feeling smooth, fresh and moisturized-anytime and anywhere. Read reviews about CELKIN VITAMIN Make-up Remover Cleansing Wipes here. 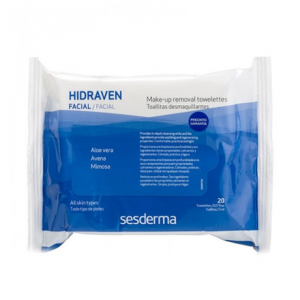 Sesderma Hidraven Make-up Removal Towelettes is a gentle cleansing care that is ideal for face and eyes. 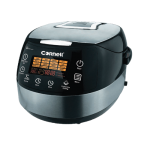 It quickly and effectively cleaning and removing makeup in just one swipe. Formulated with oatmeal and chamomile extract that is care and gentle on the skin. The oat in this wipes is effective for deep facial cleansing while chamomile extract keeps the skin soft and smooth. 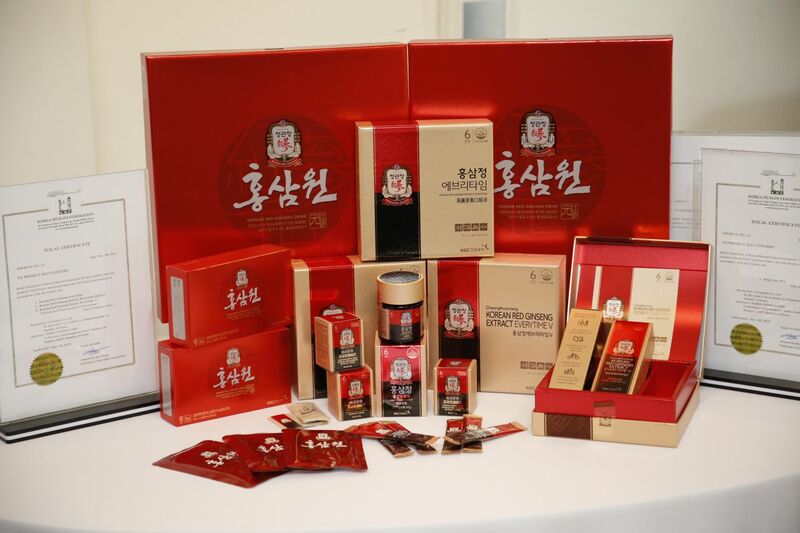 Not only that, it is also made of herbal and natural extracts of plants. This wipes moisturizing, refreshing, calming and decongestant. Leaves a smooth and cool finishing without the use of soap. Click to know more about Sesderma Hidraven Make-up Removal Towelettes. 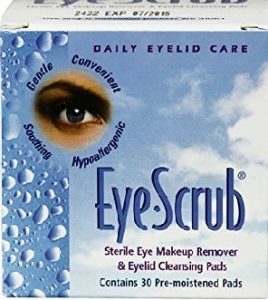 Alcon Eye Scrub Sterile Eye Makeup Remover & Eyelid Cleansing Pads are convenient and easy to use. The pre-moistened pads eye-scrub is ideal for active lifestyles. Comes in a handy packaging which it can fit in – travel purse, bag, briefcase or any other bags. Patented microbubble formulation in this eye-scrub creates a unique microbubble that lathers perfectly on your eyes to remove eye makeup effectively. It also can be used for daily eyelid hygiene, not only t remove makeup. 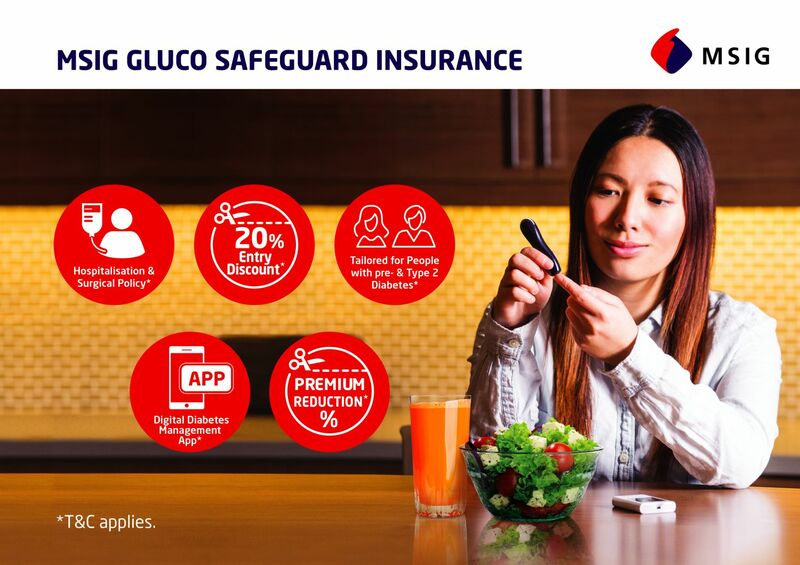 Made with non-irritating hypoallergenic, with pH balanced, this product is ideal for travel and even recommended by ophthalmologists. Read reviews about Alcon Eye Scrub Sterile Eye Makeup Remover & Eyelid Cleansing Pads here. Dual action QV face Cleansing Wipes have been designed to effectively remove makeup and oil and even impurities. It leaves skin moisturised and feeling clean and refreshed. This product from QV is strong enough to remove even waterproof makeup yet gentle enough for even sensitive skin. You can use it after hours of exposing to dirty air, smoke to clean up your face and prevent your pores from clogged due to impurities. 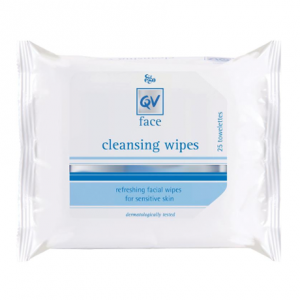 Click to know more about QV Face Cleansing Wipes. A great product from Neutrogena that is soft and tender on the skin. The gentle, ultra soft makeup remover wipes effectively dissolve 99.3% of your most stubborn makeup, even waterproof mascara – for clean, fresh looking skin in just one simple step. 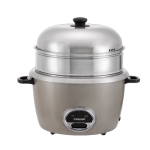 It leaves skin thoroughly clean with no heavy residue, so there’s no need to rinse! 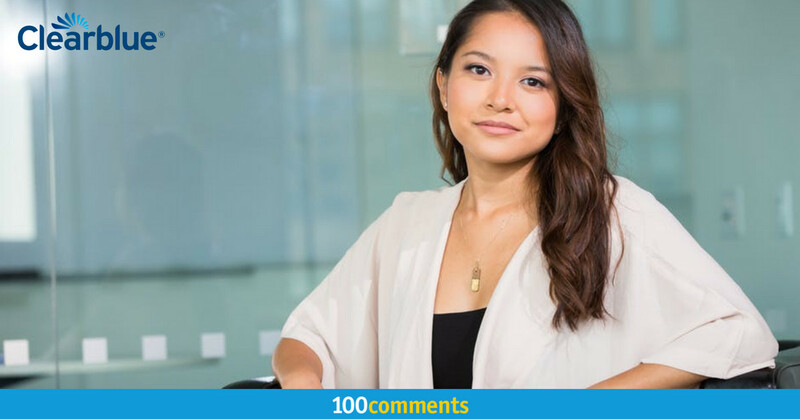 Plus they’re gentle enough to use around the sensitive eye area, even if you wear contacts. 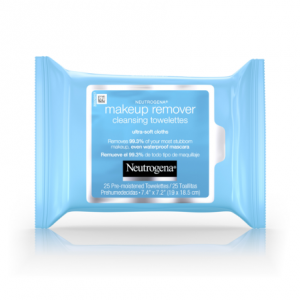 Read reviews about Neutrogena Makeup Remover Cleansing Towelettes here.